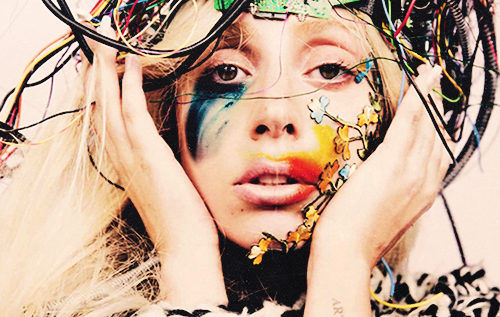 SnapCacklePop: Preview a new Lady Gaga track..! Though some critics are ready to take down Gaga, we honestly thing that Lady Gaga will be returning more to her pop roots with her new album ArtPop that is due out in November. After showcasing many new tracks at the iTunes Festival in London, this new track as emerged online cutely named G.U.Y which stands for Girl Under You. This is not the official second single, however does clip does give a glimpse of Mother Monster returning to the style of music we last saw on The Fame Monster, that catapulted her worldwide domincation. Venus has been confirmed as the new official single that is due out next week, when surely the Gaga marketing machine will kick into overdrive. Remember the Born This Way promo, you couldn’t even crack an egg without some kind of Gaga reference…! Check out the snippet below and per-order your copy on ArtPop on iTunes now..!